One of the most attractive characteristics of e-Cigarettes is the large number of flavorings that are available. Many public health officials consider this a drawback claiming that flavorings attract young users and eventually, these young people will start smoking tobacco products. 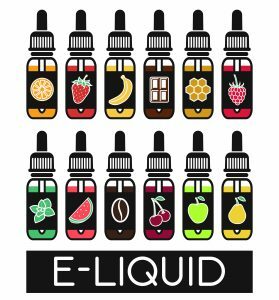 The news media suggests that the e-Cig industry uses multiple flavors purposely to draw young people to vaping. A survey was created and uploaded to the internet aimed at E-cigarette users. No preference as to current smoking status. However, participants were later divided into two subgroups according to their smoking status. These groups were former smokers and current smokers. Approximately 91% were former smokers. Current smokers had reduced their tobacco consumption from 20 cigarettes per day to 4 per day. Both subgroups had a smoking history of about 22 years and had been using e-Cigs for 12 months. Three flavors were the average used by each. Former smokers switched flavors more often, and 69% of the former subgroup said they did this on a daily basis. Fruit flavors were the most popular. Tobacco flavors were the most popular in the beginning of the study. The study participants reported that restricting flavors made the E-cigs less enjoyable, and boring. As many as 48% said that it increased their craving for tobacco, and 39% said that it was less likely that they would quit smoking. The number of different flavors used was associated with smoking cessation. This study pointed to the different flavors as a marketing tool according to vapers’ demand. Different flavors added to vaping enjoyment. E-cigs being used by young people was minimal. Creating a shortage of flavors would harm current vapers while no health benefits would occur in young people. In conclusion, numerous flavors were recommended to remain available since flavorings did not affect children.